On a weekend that found us with our fifth rainy, cold day in a row it was time to do something different. While very thankful for the much needed rain in our part of the world, I wanted to do something to break the monotonous cloudy days we’d been having. My kiddos asked me if we could make hobo packs for a meal and I knew an indoor camping night was in order. We started our evening by assembling hobo packs. 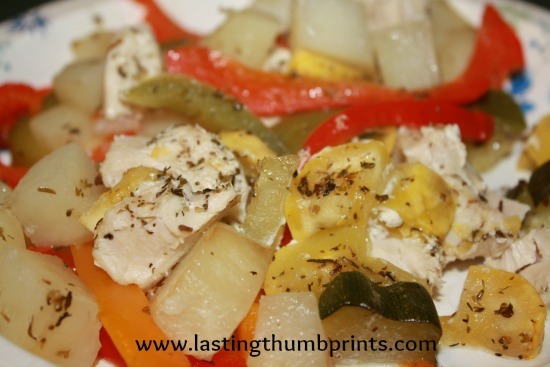 A hobo pack is just a foil pack meal and is easy to make. We first learned about hobo packs years ago when our oldest son was in Cub Scouts. You can cook these over a campfire, on the grill, or in the oven. The kids enjoy making them because they get to put together their own meals. 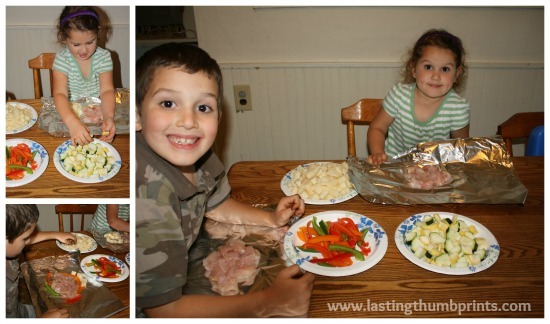 We laid out pieces of foil and then each made our packs from the following ingredients: chicken cubes, bell pepper slices, potato cubes, and squash & zucchini pieces. My children do not usually eat peppers, but they specifically asked to have them in their hobo packs. They didn’t like them cooked, but at least they tried them. 😉 I drizzled some olive oil and spices over the combined ingredients, folded up the packs, wrote our names on them, and tossed them in the oven. We ate our meal at the table, but in keeping with the camping theme, you could set up camping chairs in the living room or spread a blanket on the floor and eat picnic style. And of course, any type of meal that makes you think of being outside would fit the bill. And what would be a campout without s’mores? One of my favorite things to eat. Ever. 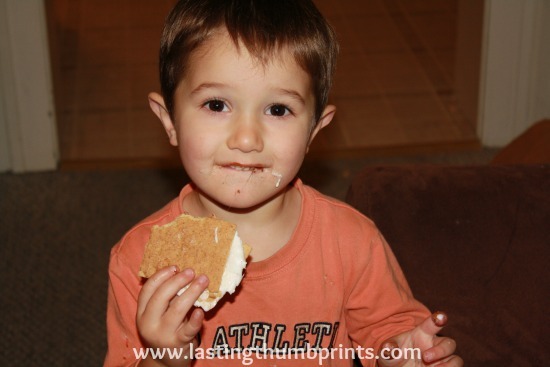 We made ours in the oven using this indoor s’mores method from Homeschool Creations. Our current living room is not big enough put up the tent and still walk around furniture, so we set up a tent in one of the kid’s rooms to add an extra element of fun. A homemade fort made out of sheets or laying sleeping bags on top of beds would be just as fun. 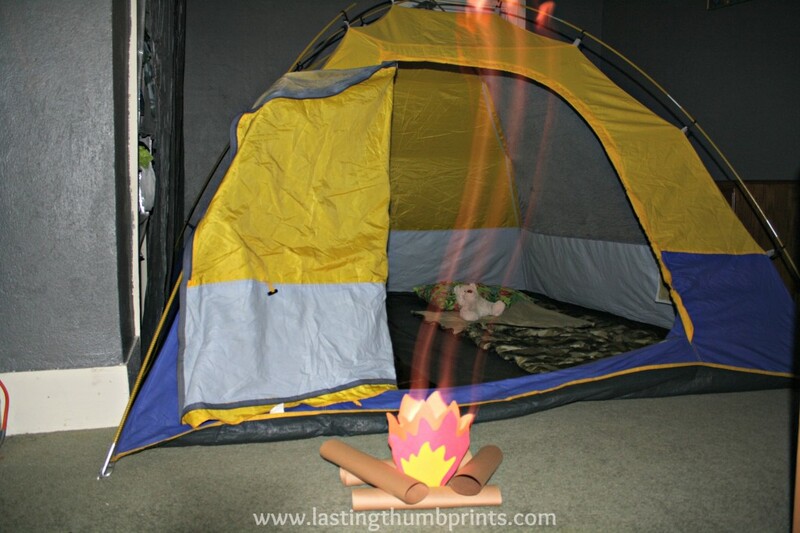 I made a campfire out of construction paper and put an LED flashlight in the middle. I had the lights off in the above photo and it made this really cool effect that I just had to include in this post. 🙂 A battery operated lantern would have been fun also. And this is why I do the silly things I do. Totally worth it! Telling stories around the campfire is fun. We like doing “popcorn” stories as a family where each person takes a turn telling part of the story. You could also sing camp songs or do a special devotion time. Set up a flashlight and make hand shadows. Put water in the bathtub and “go fishing”. 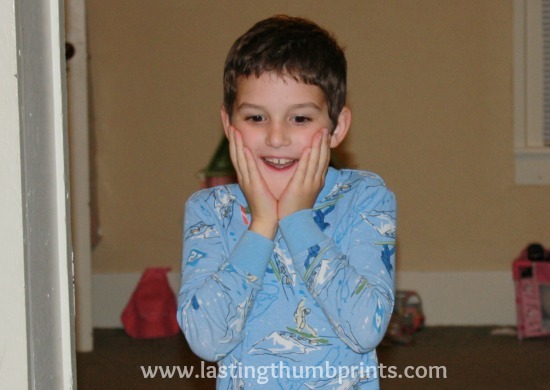 Create a scavenger hunt. This might be fun only using flashlights in the house. 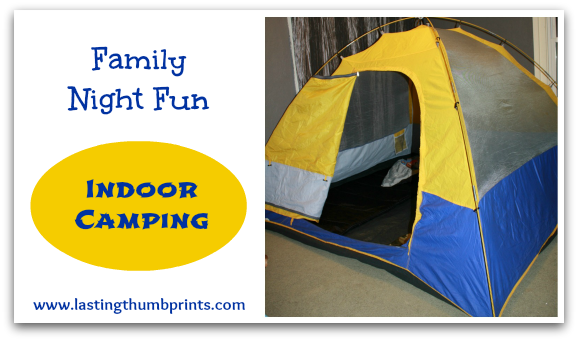 You can find more fun family night ideas here!